The public dislikes his temperament but still believes he can deliver policy success. Donald J. Trump takes the oath of office on Friday facing unprecedented opposition but also an extraordinary opportunity. He confronts the paradox of a country skeptical that he has the personal traits for the Presidency but still hopeful he can fulfill his promise to shake up a government that is increasingly powerful even as it fails to work. In this respect he is the opposite of President Obama, whom Americans admire personally but see as a failure in delivering on his promises. Mr. Trump begins his Presidency without a reservoir of personal goodwill, so more than most Commanders in Chief he will have to win over Americans with results. He will have to do this, moreover, against a political opposition that is blunt and relentless in wanting him to fail. 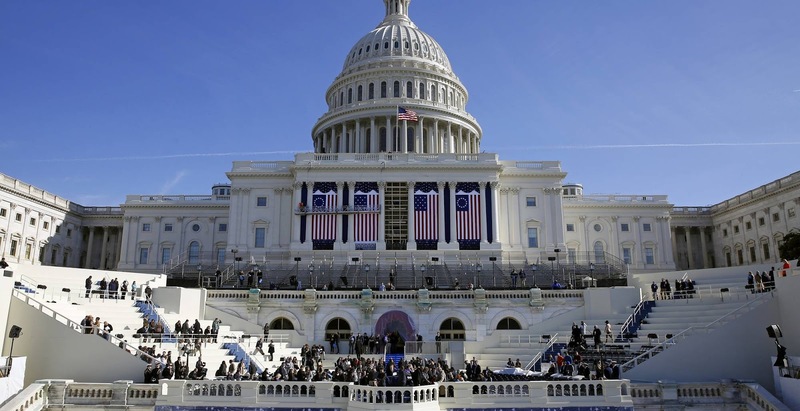 Inaugurations are typically moments of political unity and appeals to larger national purpose, but Mr. Trump will get no honeymoon. Democratic leaders are calling his election illegitimate, and most of the media wants Mr. Trump to implode—for reasons of partisanship, ideology or simply to vindicate their view during the campaign that he couldn’t and shouldn’t win. No President since Nixon will face a more hostile resistance in the press and permanent bureaucracy. Yet rather than rage against this hostility, Mr. Trump should view it as an opportunity. So many elites expect him to fail that even small early successes will confound them. So many on the left are predicting the rise of fascism that he can make them look foolish by working well with Congress. So many in the media will portray him as the leader of a gang of billionaires that he can turn the tables with an up-from-poverty and education choice campaign. Mr. Trump owes his narrow election victory to center-right and independent voters who decided he was a risk worth taking. Notably, they seem to be reserving judgment. In the new Wall Street Journal/NBC News poll, Mr. Trump’s personal popularity rating is 10 points underwater, 38% positive, 48% negative—the lowest of any modern President at inauguration. But as notably, the public is better disposed to Mr. Trump’s agenda than to his character and temperament. Tax reform, a faster campaign against Islamic State, improving roads and bridges, and fixing health care enjoy widespread support. If voters are ambivalent about Mr. Trump personally, he has a policy opening to earn their support. Mr. Trump’s main—and essential—mandate is to raise middle-class incomes that have stagnated in the Obama era by lifting the economy out of its 1%-2% growth rut. The White House should scrub every policy choice, first and foremost, against its impact on growth. Mr. Obama put his social and political preoccupations above growth, and the country and his Presidency suffered for it. The opening for Mr. Trump is that by removing Mr. Obama’s barriers to growth, he can unleash the business investment that has been so weak in this expansion. If Mr. Trump eases the burden of regulation, reforms the tax code, unlocks U.S. energy production and returns markets to health insurance, then capital will get off the sidelines and animal spirits will revive to create new ventures and make pent-up deals. His impulses to restrict trade will have to be contained enough that they don’t undermine his pro-growth agenda. A Trump growth revival is the best way to persuade the skeptical. The new President will also have to reform a government that too few Americans trust, not least because of its indiscriminate intrusion into ever more of American life. This means fixing public services that people can see, such as an Internal Revenue Service that answers taxpayer questions, a veterans service that doesn’t kill veterans, and health insurance with more choices and lower premiums. We disagree with Mr. Trump’s immigration priorities, but one reason border politics are so dyspeptic is that illegal immigration contributes to a sense of lawlessness and disorder. Meanwhile, speeding up permitting for new public projects should also be a high priority. As with Wollman Rink in New York City, the President’s business drive could make more of government work again. Mr. Trump needs partners in Washington who can move his agenda, and he should recognize that Republicans in Congress are a source of expertise and counsel. If he uses them as allies and forms common cause, he can make his first two years the most significant since Reagan’s first term. If he goes to war with them for reasons of pique, or over marginal policy differences, Democrats will be eager to inherit the wreckage—and drive him out of office after four years, if not earlier. The biggest wild card of this Presidency is foreign affairs, where Mr. Trump has instincts but no experience and his penchant for impulsive comments can be unnerving. Mr. Obama worried U.S. friends because he was intent on courting adversaries at their expense. Mr. Trump needs to reassure allies who fear that his “America first” slogan is merely different political cover for a similar U.S. retreat. At least his defense buildup will impress friends and foes, assuming he doesn’t abandon it for budget reasons. Foreign policy is where his shoot-from-the-lip tendencies create the most trouble. His slap this week at German Chancellor Angela Merkel is the kind of comment that rankles without purpose. If Mr. Trump pursues his own “reset” with Russia without Europe on board, he’ll achieve Vladimir Putin’s goal of dividing the U.S. from Germany and never get the NATO spending increases Mr. Trump wants. He should also ease up on Mexico, lest his trade bullying push that neighbor to the anti-American left and end decades of economic progress. If he thinks illegal immigration is a problem now, wait until the election of a left-wing Mexican populist. Mr. Trump promised to disrupt the status quo, and to succeed he will have to. How he goes about it will be an adventure—not least in a White House that appears to have at least six major power centers. Management by “chaos” can be messy. Then again, Mr. Trump’s cabinet choices are better than those of the last two Presidents, and in some cases (James Mattis) they are inspired. The Never Trump opposition will be fierce, but the public will await the results. President Trump’s success will depend above all on delivering on his promises of prosperity at home and greater respect for America abroad.